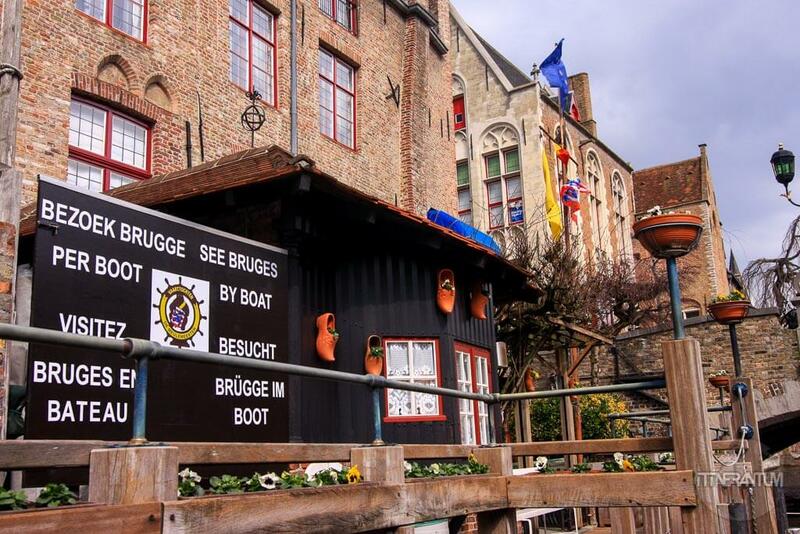 After a quick one hour ride, we arrived early morning to Bruges from Brussels, our base for the Belgium visit. As we mentioned before, you can buy your train tickets from here, or directly from the station if it’s not a special day. 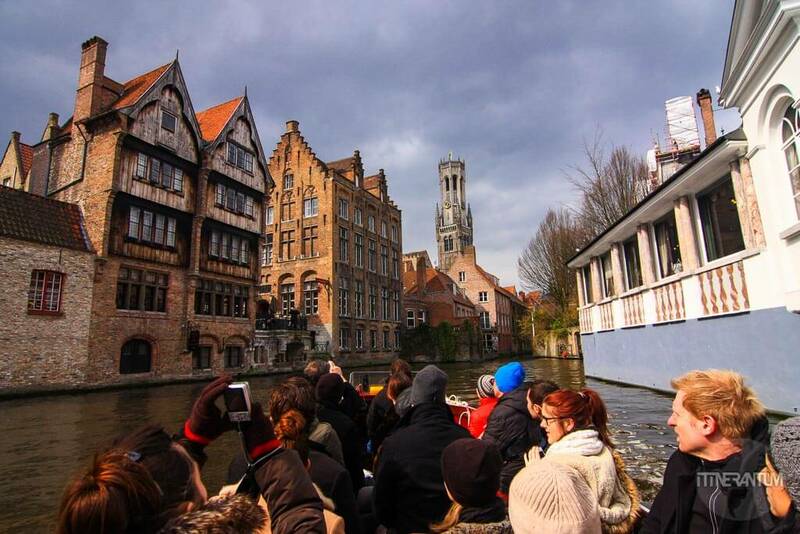 If you came to Bruges to see beautiful churches, architecture, canals, artworks and good food and beer, than you won’t be disappointed. Almost on every turn or corner you will see something picturesque and a picture is waiting to be taken. Also it’s a great place to visit if time is scarce. 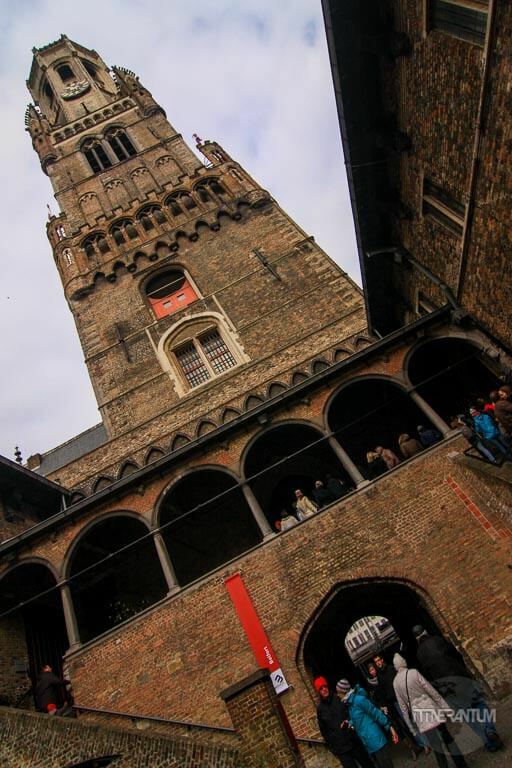 We only had one day to spend, but two days will give a complete insight of everything Bruges has to offer, including the night scene, which we missed. It was end of March and pretty chilly, but wrapped up against the cold, we ventured into the busy streets. Being such a compact city, is very visitor friendly so you can cover an important part on foot, with a tourist map. 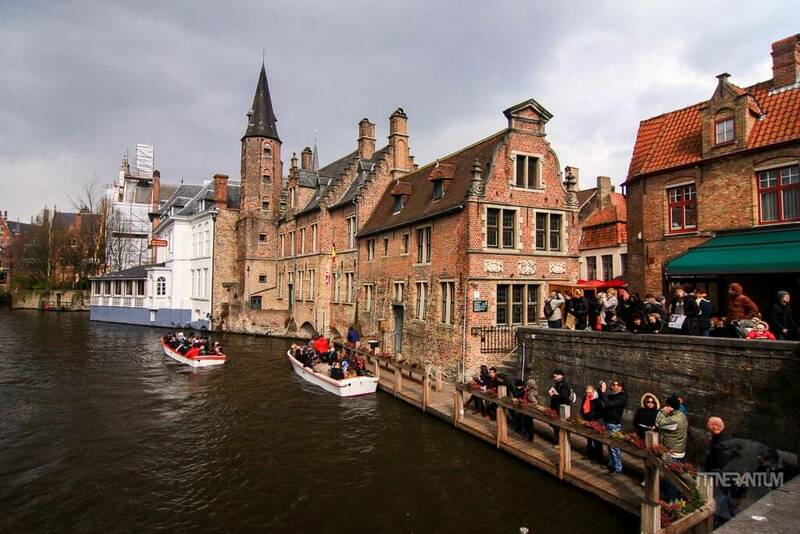 The old city of Bruges is so beautifully preserved. A lot of reconstruction work has been done in order to keep its medieval look and heritage. 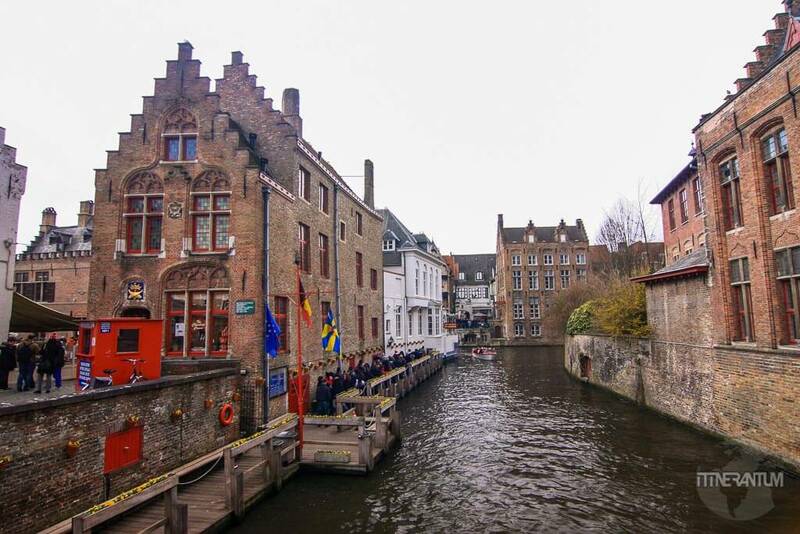 We walked around the Markt, which is beautifully lined up with colorful Flemish houses, cafes and restaurants. 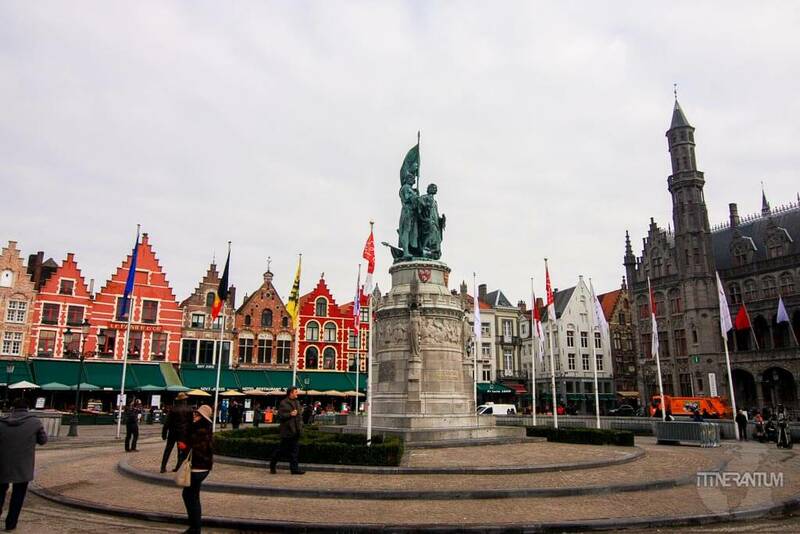 As a general rule, I advise avoiding the restaurants in the squares or close to the important objectives, but since you’re in Belgium where it’s really hard to find a bad restaurant, maybe you can try the most popular dish here, enjoying the buzz of the square. What is the most popular dish? Of course mussels and frites prepared with white wine or garlic sauce. You will soon realize that everything you heard about Belgian steamed mussels is true. 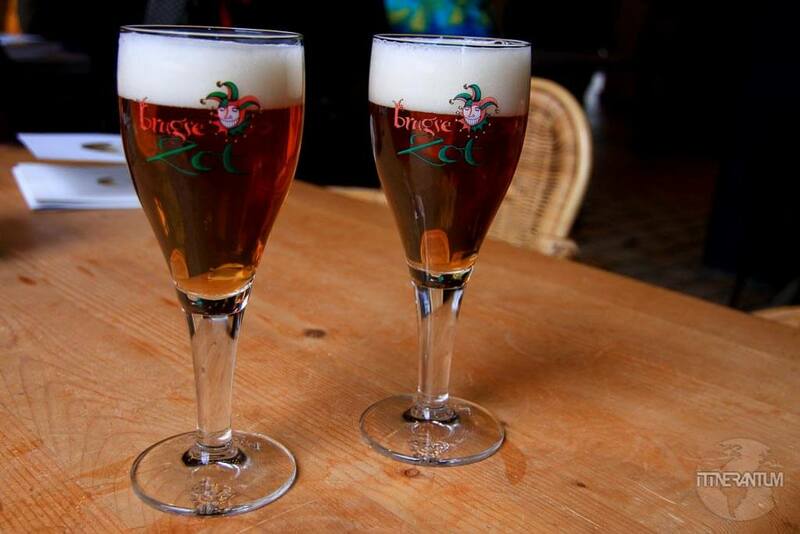 Normally you have some white wine along with the mussels but you’re in Bruges, so wash it down with some Brugse Zot or even better, a Trappist beer. If you don’t fancy mussels, just try the frites with your choice of dipping from one of the vendors in the square. I always get carried away when I talk about food, so let’s go back to the sightseeing. 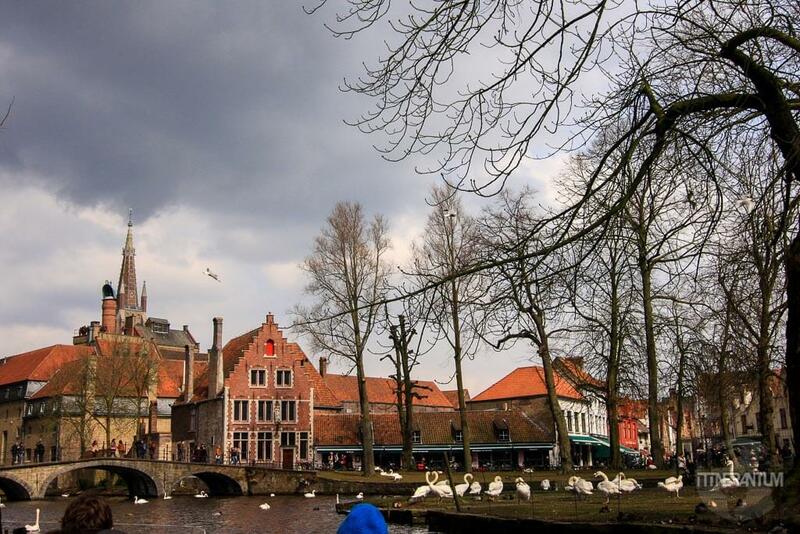 On the opposite side of the Markt, facing the restaurants, you will find the Belfry of Bruges, or Belfort. 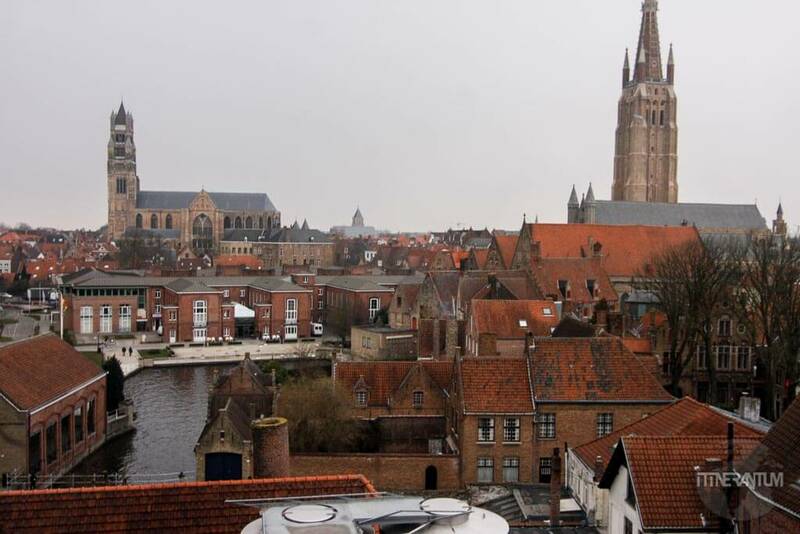 The views from the top are totally worth the 366 steps you have to climb through a very narrow stairwell. 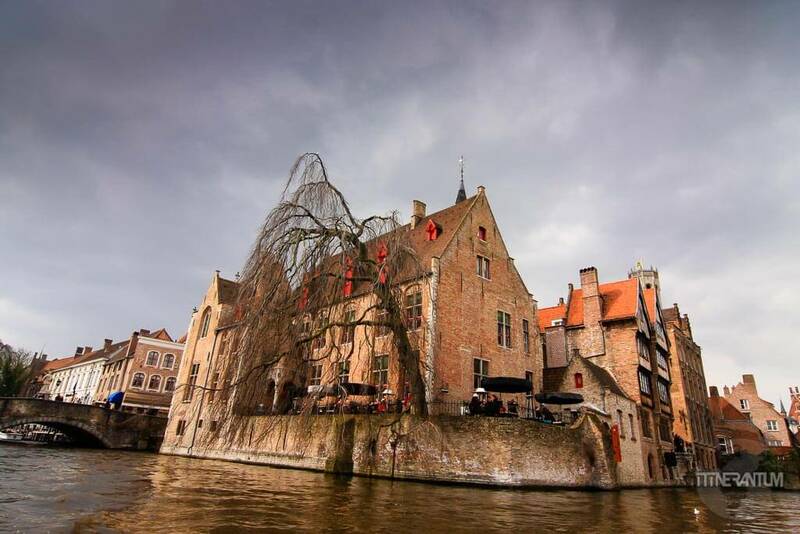 However, if you expect to see the stairway or the top where “In Bruges” was filmed, you will be disappointed as you’ll find that those scenes where shot in a studio in Bruges. Just a few steps away and you’ll find yourself in the administrative square of the city, the Burg. 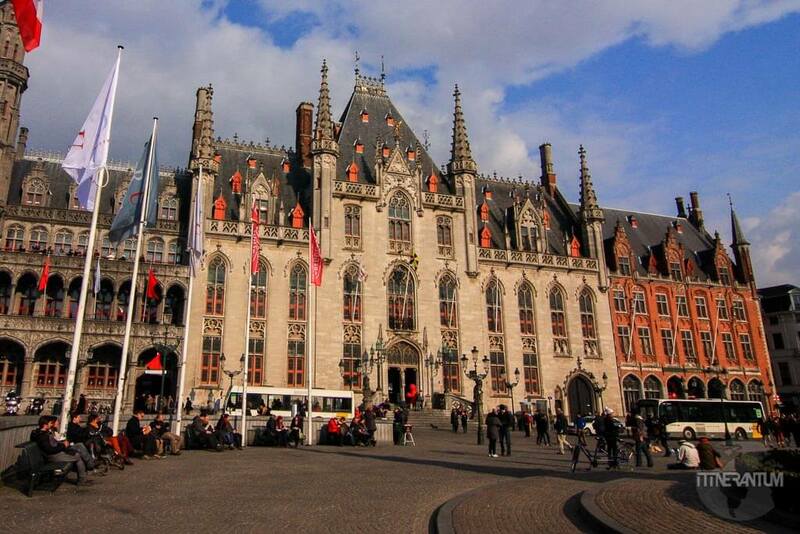 The Gothic City Hall dominates the square; build in the late 14th century is one of the most beautiful government buildings that I have seen. Next to the City Hall we found the old and rustic Chapel of the Holy Blood. It’s called like that because it supposedly contains a cloth used to wipe Jesus Christ’s blood after the crucifixion. We strolled for about ten minutes across the town and we reached the Church of Our Lady (Onze-Lieve-Vrouwekerk), featuring Michelangelo’s depiction of the Madonna and Child. It is the only sculpture by Michelangelo outside of Italy. You’ll need a ticket to enter the church, so you either buy the individual ticket for each museum or you can buy a 1, 2 or 3 days Museum Pass. 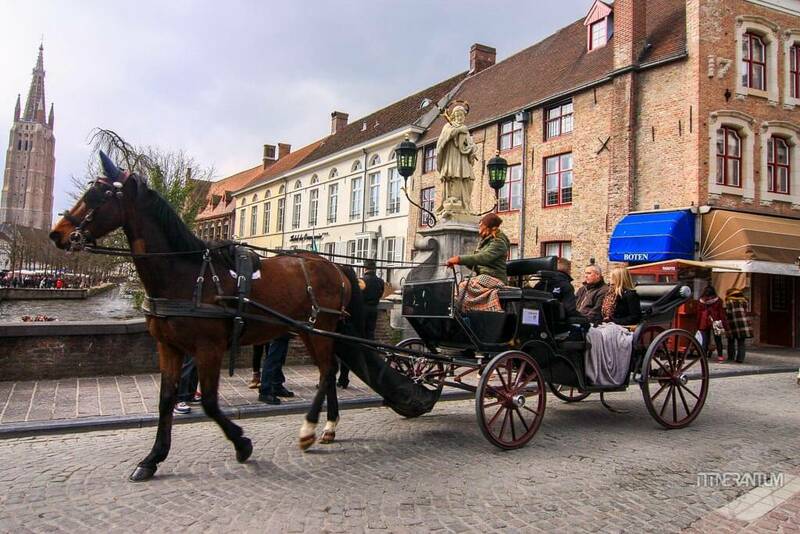 If you have time and you are art lover (especially Flemish painters), not far from the Church, there are three art museums: Hans Memling Museum, Gruuthuse Museum, and Groeninge Museum. 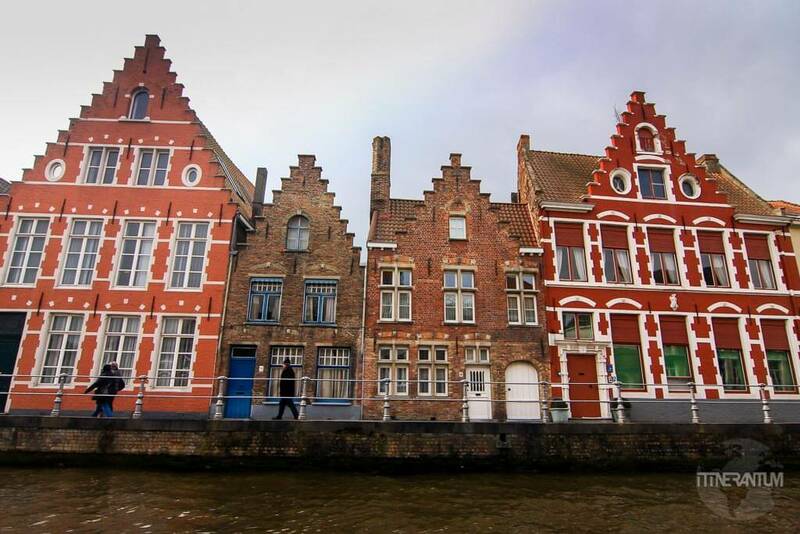 The old buildings along the canals have a special charm to them and being so wonderfully lit by the afternoon sun, they were begging me to take their picture. So I did, with the help of a very enjoyable Canal Cruise. Tours leave from behind the Belfry Tower or near the Church of Our Lady and cost about 7€, unless you have the city card, then it’s free. Located just a few minutes south from the museums, Minnewater Lake Park is the perfect place to relax. You’ll see lots of swans and wildlife and a very scenic view at the top of the lake, with lots of nice little bars and cafes. If you don’t feel like walking, you can see the park from a Canal Cruise as well. It was getting late so we thought is time for some beer before heading back to Brussels so we made our way (5 minutes’ walk from the Minnewater) to the only active brewery in Bruges, De Halve Maan. After the tour, you can climb up to the top of the brewery and admire the view before enjoying our sample beer. You can read more about Belgium beer, here. 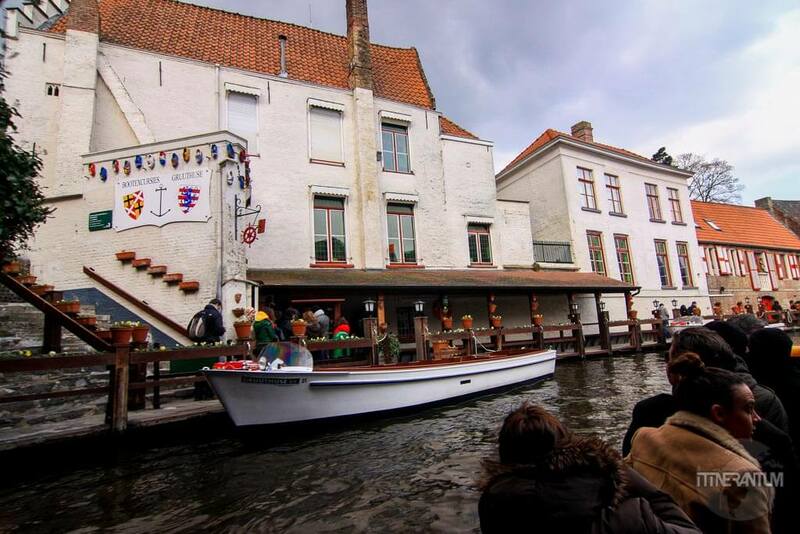 There are plenty of chocolate shops all over town so pick one or two to taste some local chocolatiers, for example The Chocolate Line shop or Dumon. But like any fairy-tale, it had to end eventually. So we headed back to the train station. At least we had some good chocolates to enjoy on our way back. 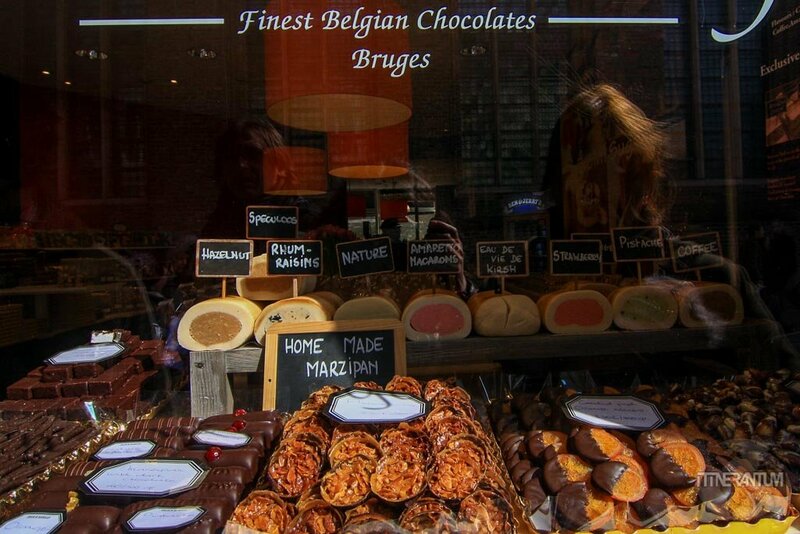 As I said before, it’s quite difficult to eat bad in Belgium and Bruges is no exception. Like we do before any trip, we scoured the internet for best restaurants. We had a few options but we chose a rabbit stew at De Vlaamsche Pot. If we had more time, we would have also gone to The Olive Tree or to De Wijngaert – a basic and very small restaurant where they cook the meat on a barbecue. 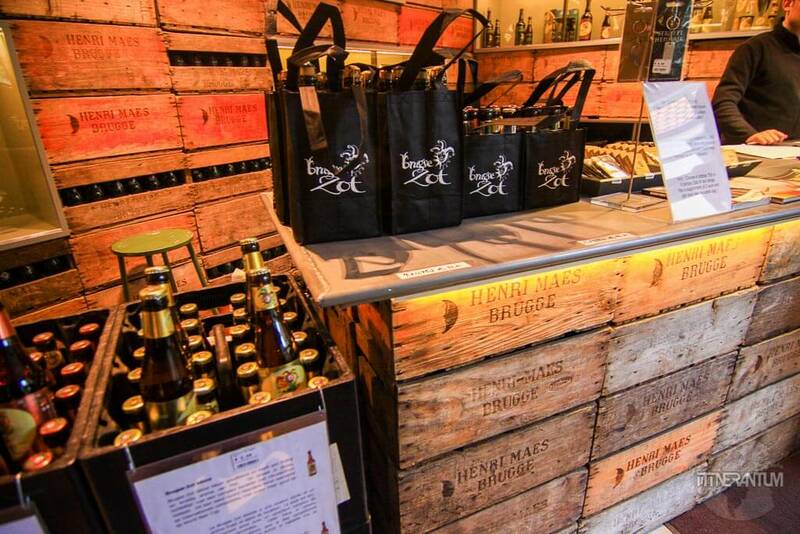 Or why not eat in a pub like Bierbrasserie Cambrinus, and also enjoy more than 400 kinds of beer. Always keep an eye on TripAdvisor for updated recommendations. 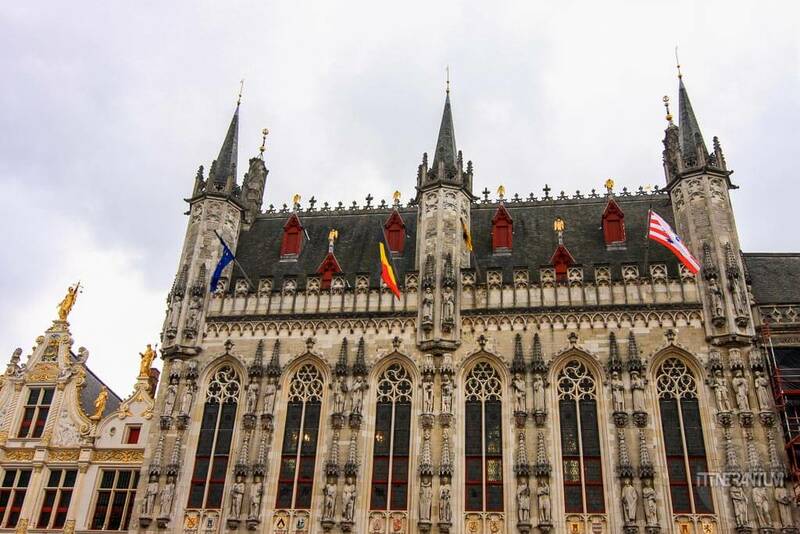 We didn’t spend the night as we did a day trip from Brussels, but if we did, we definitely would have chosen the city center. 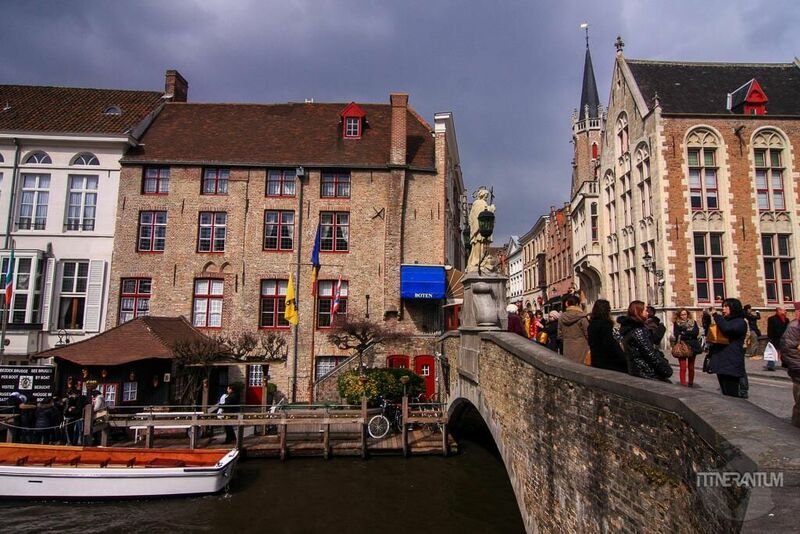 Staying within the heart of the old medieval city is an experience, besides the convenience. 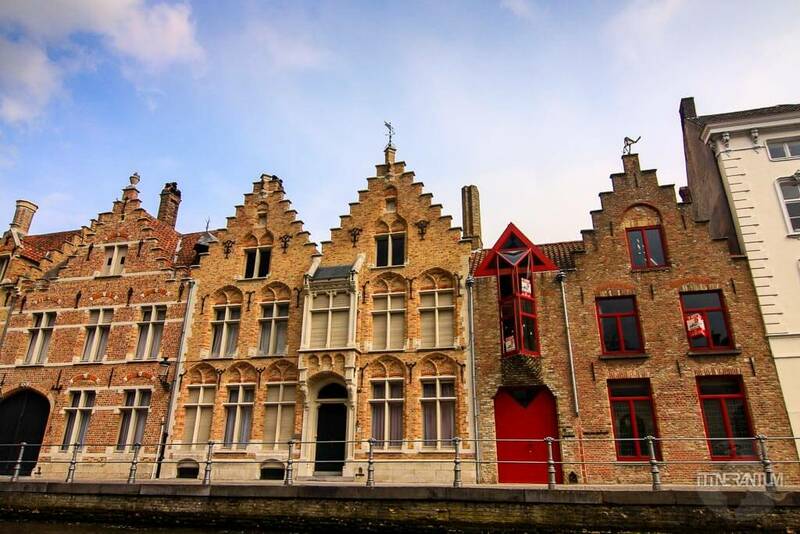 A lot of the hotels and small B&B’s are in historical buildings, with nicely decorated rooms, some of them looking over squares, market places or canals. If you fancy something more stylish you can have a look at Hotel Patritius or Hotel Jan Brito. They also provide parking facilities for about 10-15€ a day. Otherwise, check out booking.com for something close to your preferences. 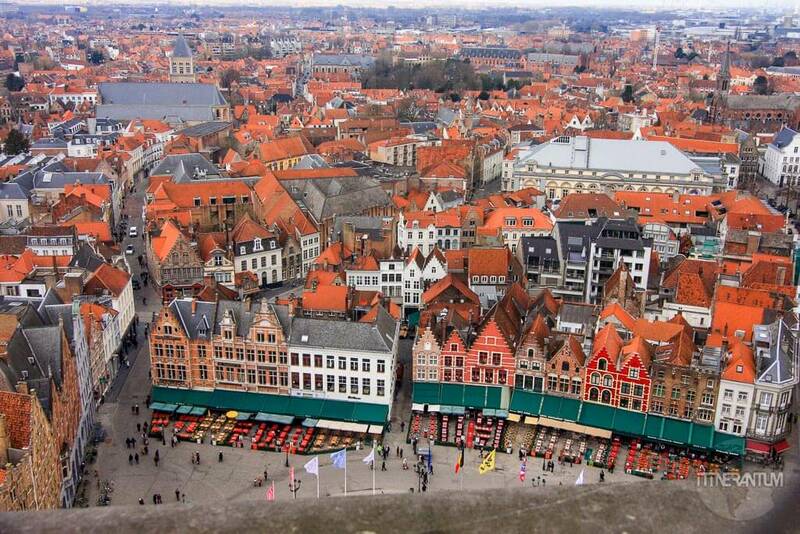 If you need a map of Bruges, you can download it from here.